Please join us to celebrate the publication, for the first time in English, of Moisei Ginzburg's Style and Epoch (1924). Alexei Ginzburg, grandson of the architect, will talk about the book, his grandfather's theory, and and bring us the latest news of the restoration of seminal Constructivist building - Narkomfin (Moscow) - of which Alexei is chief restoration architect. Style and Epoch by Moisei Ginzburg, first published in 1924, was the architect’s key work; it became the philosophical basis for the Constructivist group of architects. This facsimile edition follows on from the successful publication of the author’s 1934 work Dwelling, also published by Ginzburg Design with Fontanka (2017). 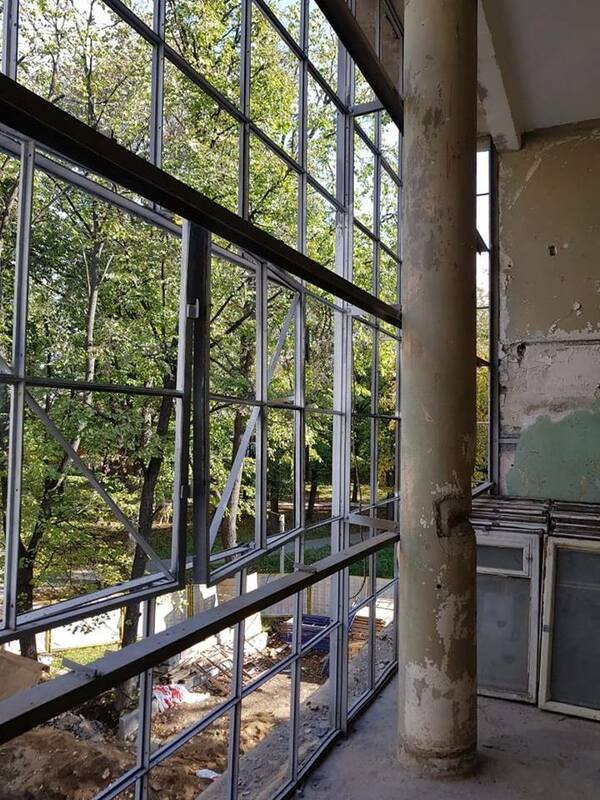 Architect Alexei Ginzburg is currently working on the restoration of his grandfather’s famous Narkomfin building in Moscow (completed in 1932). As part of this project, Ginzburg Design has initiated the publication of Moisei Ginzburg’s four seminal publications on architecture and the built environment. The first of these, Style and Epoch (1924), emphasized the civilizing role of the machine and its capacity to rationalize new building types consistent with the needs of the working class. Asserting that the revolution had engendered a new constructive phase of architectural development, Ginzburg’s treatise was essentially a manifesto of Constructivism as the architectural style of the new Soviet era. After two industrial revolutions, architects were faced with new challenges. The response was an innovative approach to architecture that put people – their needs and functions – at its centre, and the development of a style that came to define the nature of architecture in the twentieth century, which today we call modernism. The significance of this book in terms of an understanding of culture, the avant-garde and the subsequent development of modernist architecture is hard to overestimate. Moisei Ginzburg (1892-1946) was an architect, theorist, teacher, and a leader of the Constructivist group in Soviet avant garde architecture. Born in Minsk in 1892 into an architect’s family, he went abroad to Italy and France for his architectural training. He settled in Moscow, where he taught architectural history and theory at the Moscow High Technical School and in the architecture faculty at the Vkhutemas Art School. Narkomfin was constructed between 1928 and 1930 as semi-communal housing for the workers of the Soviet Union’s first Commissariat of Finances. It was commissioned by the then Commissar of Finance, Nikolai Milyutin, a trained town planner with radical and experimental ideas. To realise his ideas he turned to leading Constructivist architect Moisei Ginzburg with the project, who worked with young architect Ignati Milinis and structural engineer Sergei Prokhorov. In line with Le Corbusier's five rules, the building stands on pilotis, has a free internal plan unconstrained by load-bearing walls, a free facade that does not necessarily reflect the internal functions or layout, ribbon windows stretching across the entire facade, and a flat roof terrace that provides a garden for the building’s inhabitants. Concrete bricks were made on site and traditional materials were used in experimental ways. Milyutin moved into a penthouse on the roof. The building fell out of favour in 1932 and fell into disrepair although it was always lived in. It came into new ownership in the summer of 2016. 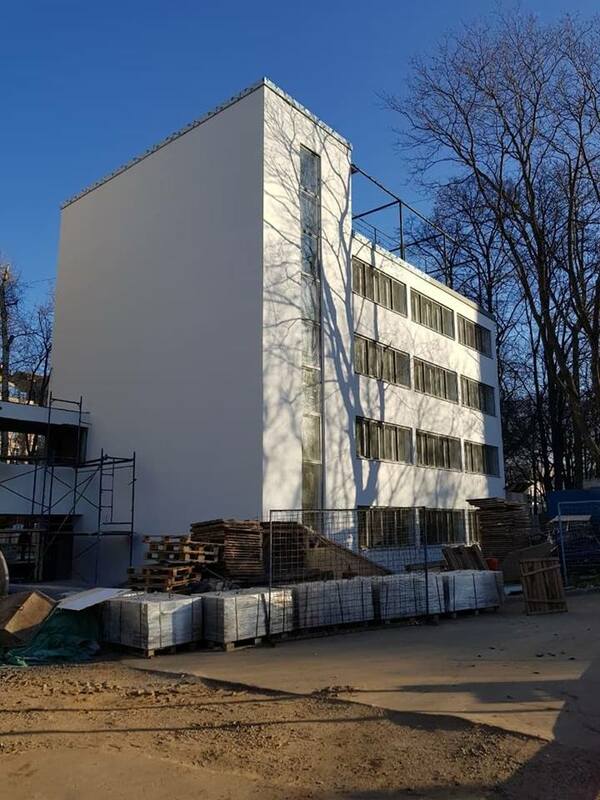 Now, Alexei Ginzburg is overseeing a thorough restoration of the building, following many years of research of methods for working with modernist buildings. It is hoped that this will be an exemplary restoration, that will serve as a positive precedent for repairing other buildings of the same period that are languishing in disrepair and abandonment all over Russia. Alexei will bring the audience up to date with the latest developments from the restoration of Narkomfin. Copies of Style and Epoch will be available to buy on the evening.